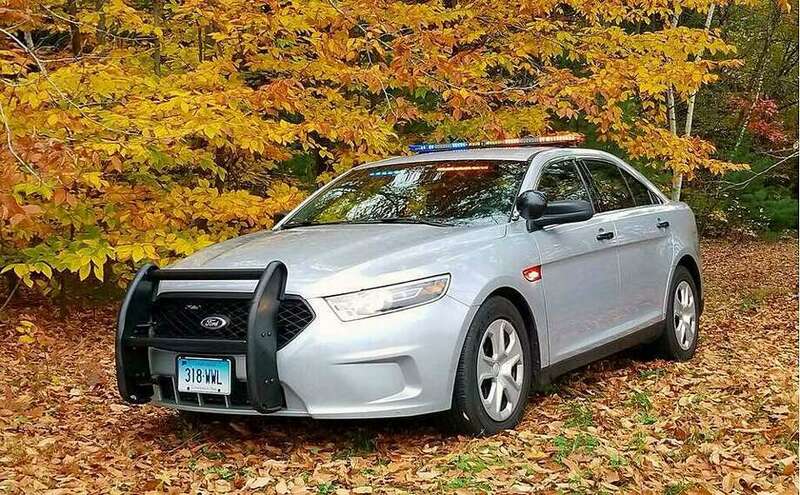 File photo of a Connecticut State Police cruiser. A Manchester woman is in fair condition after her car went off the road in Washington on Sunday evening. Bethany Jaye Yombrick, 26, was driving her 2002 Toyota Corolla around 5:20 p.m. Sunday on East Shore Road in Washington, when she lost control on a curve. She drove off the road and hit a pedestrian crossing sign, wood fence and a tree before stopping in the yard of a private home, according to a state police press release. She was brought to Danbury Hospital with “serious injuries,” state police said.